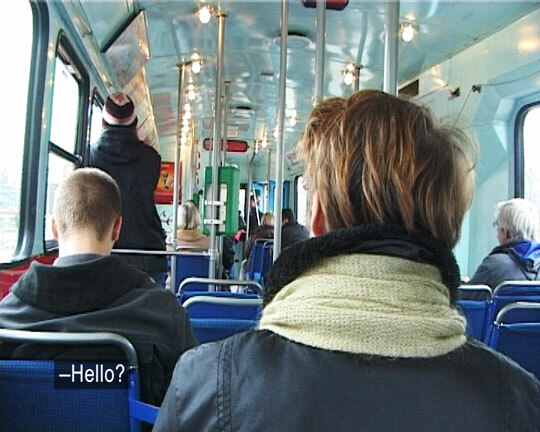 The video takes place on a tramcar in rainy Gothenburg where one can see and hear a woman speak loudly on her cellphone. 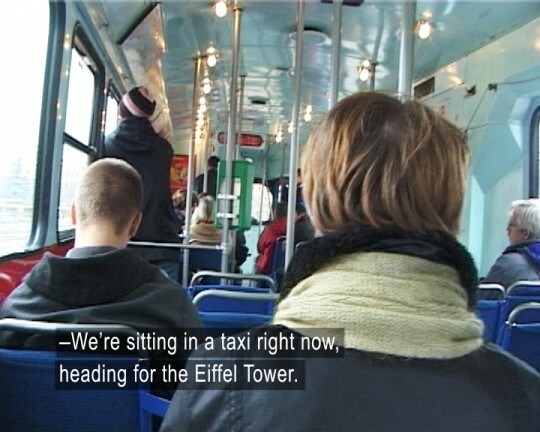 She says that she is in Paris, sitting in a cab on her way to the Eiffel Tower. She describes the beautiful spring weather, shouts out loud when passing by the Arc de Triomphe and speaks french to the taxi driver.